CEDAR Audio is returning to the Broadcast Asia exhibition and conference in 2018 to exhibit alongside CDA Pro-AV, the company's distributor for Singapore and other countries in SE Asia. Pride of place will be occupied by the CEDAR DNS 2™ and CEDAR DNS 8 Live™ dialogue noise suppressors, which are the standards for noise suppression in broadcast and location sound recording. CDA will also be demonstrating the latest version of CEDAR Studio™, the company's plug-in suite that provides the highest standard of audio restoration and noise suppression in post. 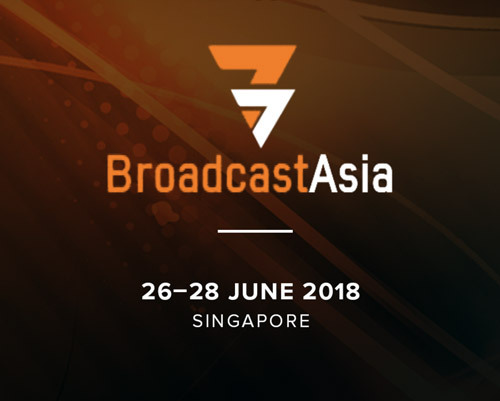 Joel Chia, Sales Manager of CDA Pro-AV (Singapore) says, "As always, we're thrilled to be representing CEDAR Audio at Broadcast Asia. Every year, I learn more and appreciate the quality of their algorithms and signal processors more. CEDAR manages to create tools that are not only very simple to use, but remarkably effective at what they were engineered to do. It's no surprise that they continue to be the standard in every field that they address, whether that's in broadcast, post, live sound, or archives." For nearly three decades, CEDAR Audio has been the world's only company dedicated solely to the research, development and manufacture of audio restoration, noise reduction and speech enhancement systems. It includes the world's leading broadcasters, film companies, post production studios, mastering houses, archives and libraries amongst its customers, as well as many leading law enforcement and security forces that rely on CEDAR for audio forensics and surveillance.